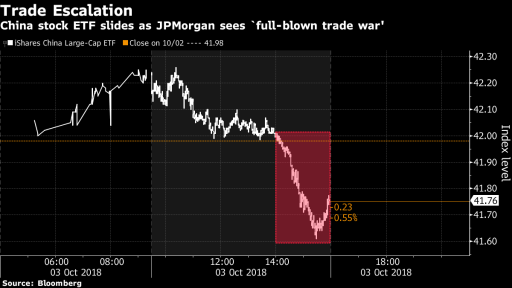 "Our US-China trade relationship scenario is a commercial war in full and brilliance," they predicted in 2019. the strategists of J.P. Morgan. Tensions between Washington and Beijing were again boosted last week when the Trump administration pushed new customs duties of 10 percent on Chinese goods worth about $200 billion. The government of Xi did not remain impotent and responded with $ 60 billion in defensive duties. on American products. The actions of China and the US have completely eradicated hopes of a quick resolution of the dispute. J.P. Morgan revised its forecast for China's economic growth next year to 6.1% from 6.2%. 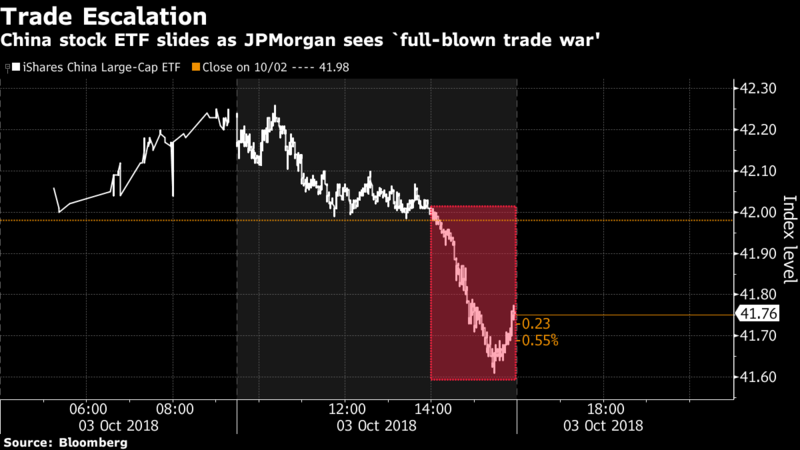 Without taking into account countermeasures, the trade war represents 1 percentage point of GDP, argues strategists. "Higher tariffs push the profit margin of the Chinese producer, reducing the investment incentive in the country, which will lead to reduced consumption," they write. 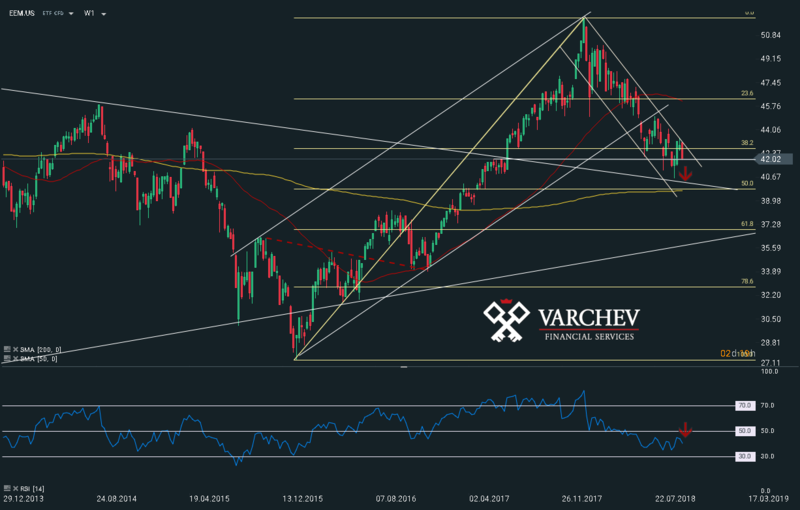 The market reaction following the commentary by J.P.
Trump's policy, as well as rumors about Chinese growth, pushed the MSCI Emerging Market down again, with the iShares MSCI Emerging Market ETF continuing to trade down a downward trend. At the moment, ETF-a purchases or sales will be considered as risky because it is far from significant support or resistance where we look for input. Charts: Used with permission of Bloomberg Finance L.P.